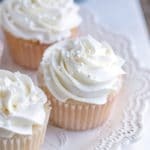 I love, love, love mini desserts! 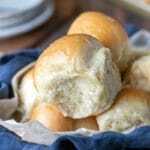 Not only are they adorable, but they are perfectly portioned, too. 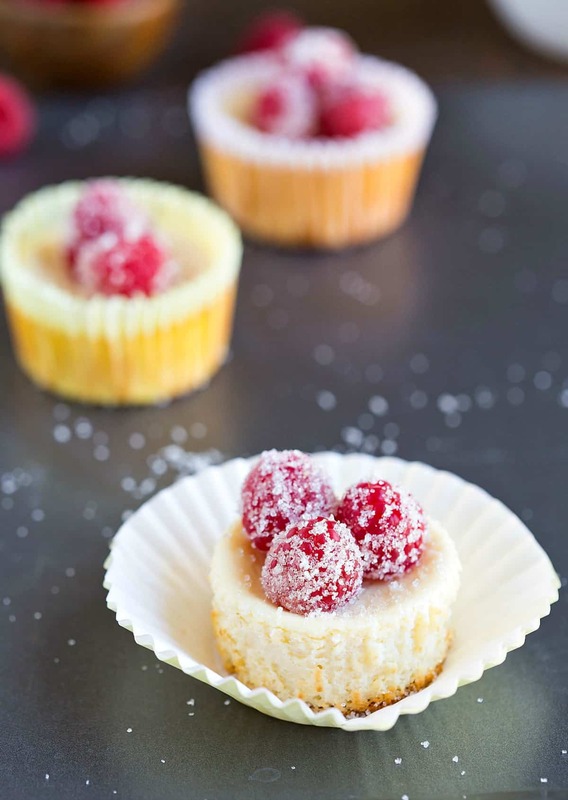 This Mini Lemon Yogurt Cheesecake recipe was adapted from another one of my recipes for Individual Vanilla Greek Yogurt Cheesecakes. 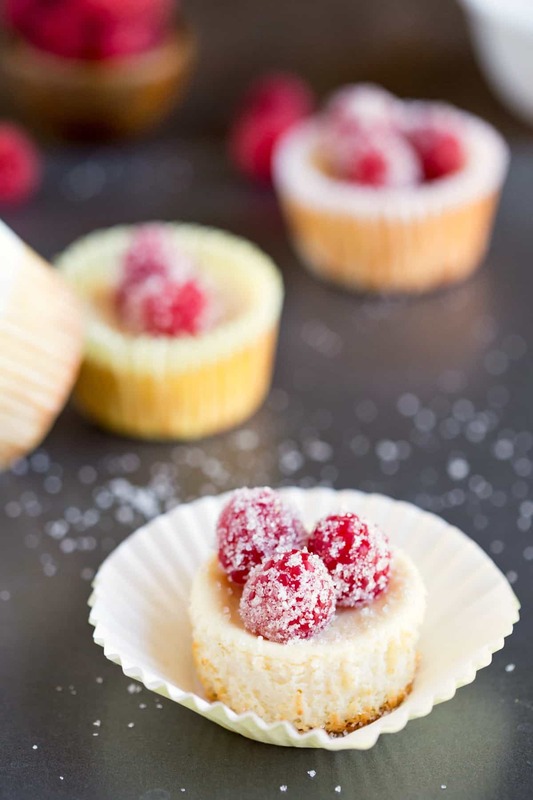 I actually made a batch of these mini cheesecakes and a batch of the original Greek yogurt cheesecakes to compare the two, and I have to say, I may like these better! 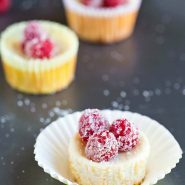 The lemon in the cheesecakes adds such a bright flavor, and it makes these cheesecakes have such a great mix of sweet, tart, and creamy. Add a few sugared raspberries on top for a little bit of crunch and extra sweetness. Preheat oven to 350 F. Line a 12-cup muffin tin with paper liners. 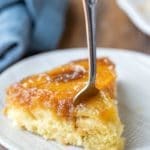 In a medium bowl, beat together cream cheese, yogurt, sugar, egg, lemon juice, vanilla, and lemon zest until well-combined. Place one vanilla wafer in the bottom of each liner, flat side down. Divide batter equally among the muffin cups. They will be about 2/3 full. Bake for about 20-25 minutes, or until set. Remove from oven, and let the cheesecakes come to about room temperature. Remove from tin, and chill for about 3 hours before serving.